A presentation on key business opportunities in the Philippines, highlighting the Duterte Administration’s infrastructure development plans, was presented by the Embassy to the Chamber of Commerce of Malaga on 13 February 2018 at the Chamber’s headquarters in Malaga. Ambassador Philippe Lhuillier had a lengthy discussion with the President of the Chamber, Mr. Jerónimo Pérez Casero, and the Vice President, Ms. Maria Paz Hurtado, on the need to take advantage of PH’s 100 million strong consumer market and its Spanish heritage that makes it familiar with and receptive to Spanish products. He further emphasized the increased connectivity throughout the country due to the government’s Build, Build, Build program and invited Malagueños to participate in the program. Around 20 businessmen, most of whom were interested in exporting food products to the Philippines, attended the presentation. Also in attendance were Philippine Honorary Consul to Malaga Ms. Rosa Aguera and Vice Consul Ms. Raisa Mabayo, who delivered the presentation on behalf of the Embassy. 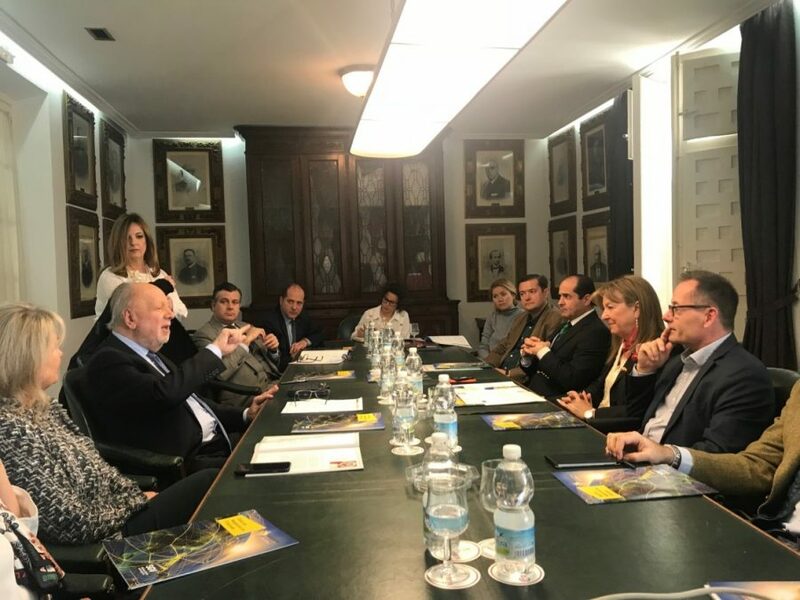 The meeting with the Chamber of Commerce was part of a series of meetings by the Ambassador in Malaga, organized in coordination with the Philippine Honorary Consul, Rosa Aguera, in Malaga.